Today Only – Tokina AT-X DX-II 11-16mm f/2.8 Lens for $329 at B&H ! Hot Deal – Tokina AT-X PRO DX-II 11-16mm f/2.8 Lens for $329 ! ">Hot Deal – Tokina AT-X PRO DX-II 11-16mm f/2.8 Lens for $329 ! Tokina USA authorized dealer Adorama via eBay has a hot deal on Tokina AT-X PRO DX-II 11-16mm f/2.8 lens for Canon EF mount. 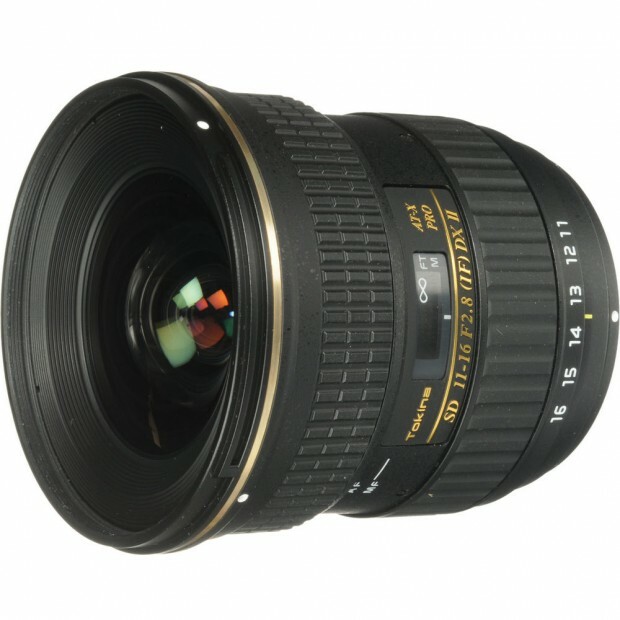 This is currently lowest price for this lens. Hot – $120 Off on Tokina 11-16mm &11-20mm f/2.8 DX Lenses ! ">Hot – $120 Off on Tokina 11-16mm &11-20mm f/2.8 DX Lenses ! B&H Photo Video and Adorama currently have great deals on Tokina 11-16mm f/2.8 DX II lens and Tokina 11-20mm f/2.8 DX lens. Hot – Sigma 35mm f/1.4 Art for $799, Tokina DX-II 11-16mm f/2.8 for $399 at B&H Photo Video ! ">Hot – Sigma 35mm f/1.4 Art for $799, Tokina DX-II 11-16mm f/2.8 for $399 at B&H Photo Video ! B&H Photo Video has recently dropped the price of Sigma 35mm f/1.4 Art lens and Tokina AT-X DX-II PRO 11-16mm f/2.8 lens. Hot Deal – Tokina 11-16mm f/2.8 DX II Lens for $399 at Adorama ! ">Hot Deal – Tokina 11-16mm f/2.8 DX II Lens for $399 at Adorama ! Tokina authorized dealer Adorama has a great deal on Tokina AT-X 116 PRO DX-II 11-16mm f/2.8 Lens for Canon Mount.